Old Woughton Parish Council officially came in to existence on 1st April 2012. 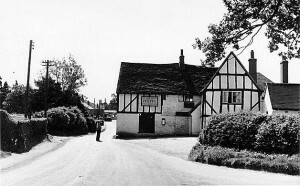 The parish was formerly part of the much larger Woughton Community Council. Independence was granted by Milton Keynes Borough Council on November 8th 2011 following a 2 year campaign by local residents and a parish boundary review. Our ethos is thus strongly embedded in the local community which is evidenced by the large numbers of residents who regularly turn out to PC meetings. We are highly service-orientated, acting promptly and appropriately to ensure our responsibilities are fully discharged in the best interests of its residents. We are passionate about preserving, enhancing and protecting our beautiful, semi-rural environment. In the wider realm we work enthusiastically with Milton Keynes Council, The Parks Trust, neighbouring parishes and other bodies. In addition to doing our business effectively and efficiently, we are also determined to do it economically and overall to give the very best value for money. To this end we maintain the very lowest, operational cost base that we can and our financial affairs are completely transparent and accountable. The parish comprises the areas of Milton Keynes known as Woughton on The Green, Woughton Park and Passmore. There are just under 400 homes in the parish along with a church, a hotel, a pub and a handful of small businesses. The Woughton Pavilion and sports fields are also located here. Approximately 60% of the parish is green space, including a village green and a section of the Ouzel Valley Park. 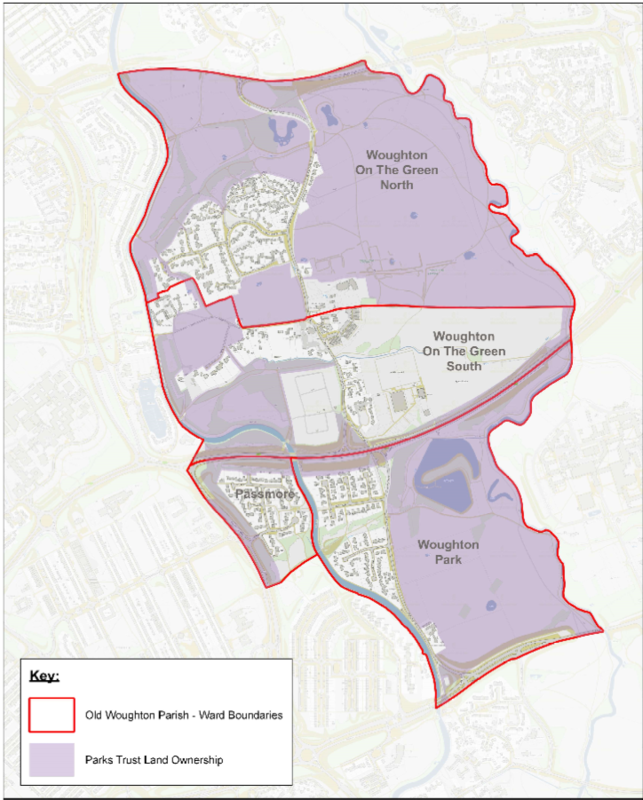 Old Woughton Parish is the owner of one of the largest allotment sites in Milton Keynes. 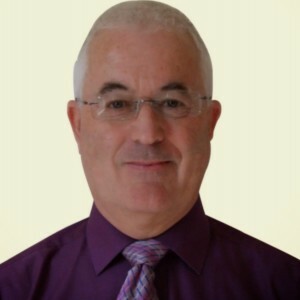 Andrew spent 35 years in the Royal Air Force before retiring to run his own business consultancy. He is also a non-executive director of a renewable energy start-up company and a Visiting Fellow at Cranfield School of Management. 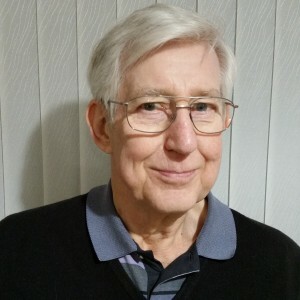 He was one of the residents who ran the Small is Beautiful campaign which resulted in the formation of Old Woughton Parish in May 2012 and is one of the founding parish councillors. Andrew has lived in Woughton Park since 1986 and during this time he served for 5 years as the Chair of the MK Drug and Alcohol Support Service and for 2 years as a trustee of MK Carers. Parish Responsibilities :- Chair, Finance & Budget, Village Greens / Rights of Way, Projects. Liaison for MKC Consultations, Woughton Playing Fields / Pavilion. 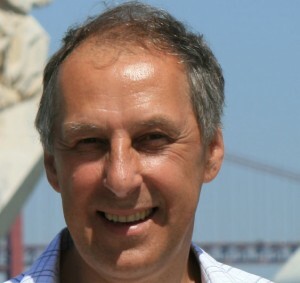 Julian joined OWPC in November 2013 as the second clerk in its short history. He is married with two sons, a daughter and a step-daughter. He has been working as a parish clerk since January 2012 and clerks for several small parish councils. After running a smallholding with his wife in SW France at the start of his career he moved to Milton Keynes in 1981 establishing a small landscaping business in 1983. This entailed planting trees and shrubs in and around the new City for Milton Keynes Development Corporation as one of many contractors. Since the dissolution of MKDC the work moved progressively into creating private and commercial gardens. Between 1995 and 2003 he also worked as a ‘Lay Inspector of Schools’ for Ofsted – a post that no longer exists - inspecting all types of school across the country. His interest in community affairs began in I991 as a school governor at his local First School, Heelands, remaining on the governing body for 19 years. 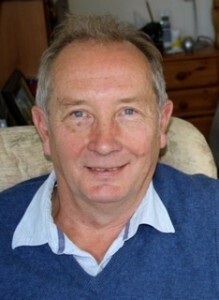 In 1992 he also joined Bradwell Parish Council as a parish councillor representing Heelands until 2011. Parish Responsibilities :- Clerk, Finance & Budget, Environment, OWIS/IT, Data Protection Officer. Robert is an Architect and has been living in Milton Keynes since 1982. After time away studying and working in Newcastle Upon Tyne, The Netherlands and then London he moved back to Woughton on the Green in 2006. He has a particular interest in the built environment and advises the parish council on planning matters. He is a member of the newly formed Woughton Heritage Group and has enjoyed getting to know more about the local area and its residents. Parish Responsibilities :- Planning, Projects. Liaison for Woughton Playing Fields / Pavilion, Transport. Roy, now retired, hailed from Lancashire, and was educated at Bolton School and Liverpool University. He joined William‘s Deacon’s Bank in 1962 moving to it‘s embryo IT department in London in 1965. He worked through the name changes to Williams & Glyn’s then Royal Bank of Scotland before spending some time as a consultant with Mars and Abbey National in IT capacity planning and procurement. He has lived in Milton Keynes since 1989, was a school governor at Simpson, and, a member of the Small is Beautiful campaign which lead to the granting of our current Parish Council status. He is currently part of the Parish Council team of three looking after the Patch Allotments. Parish Responsibilities :- Allotments, Finance & Budget, Projects. 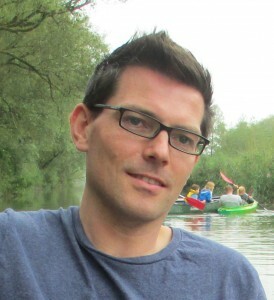 Philip worked in IT, initially as a developer and then as a project and programme manager for various IT companies. Projects delivered were mainly in financial services and government departments. He is now retired. Philip moved out of London, first to Buckingham and then to Woughton on the Green in 1989. He has been a parish councillor since May 2014 working as part of the Allotments team administering the Patch Allotments. He also set up the virtual Google G Suite, IT infrastructure in use by the Parish Council for emails, collaboration and document storage. He has developed this website for the Parish. Parish Responsibilities :- Allotments, Communications, OWIS/IT, Projects. Mary Major was born in North London, educated in Mill Hill, Watford and Rugby. She became a Mechanical Engineering Apprentice with Hawker Siddeley Dynamics, studying on a sandwich course in Mechanical Engineering at Hatfield Polytechnic. She worked in the Engineering industry for her whole working life as an engineer and lately as Project Manager, gaining a Project Management Professional Qualification from the Project Management Institute in 2012. She took early retirement from Industry in 2018. Mary moved to Stantonbury in Milton Keynes in 1987, finally moving to Passmore in 1992. She has been a member of the Women’s Institute for nearly 20 years in Simpson until it closed and now in Whaddon. Mary has been an allotment holder at the Patch since 1993 and has recently become a Trustee of The Patch Allotments. 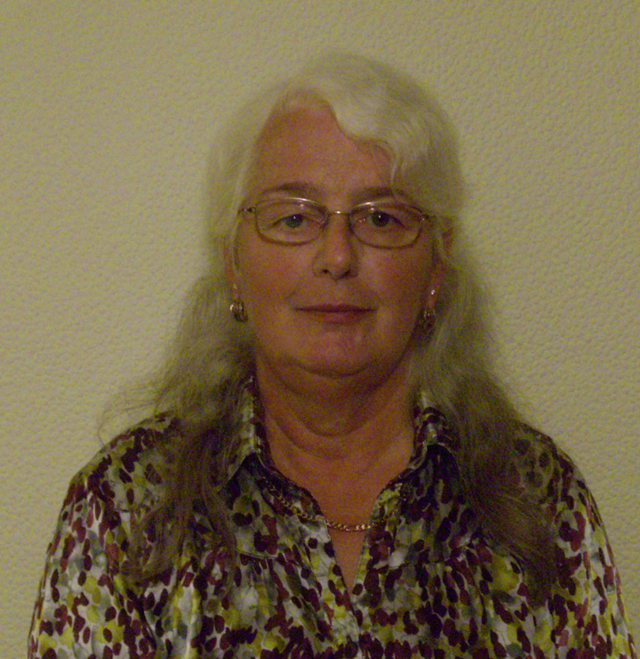 She is on the committee of the Passmore Residents Association (PRA) . PRA members supported the Small is Beautiful campaign which resulted in the formation of Old Woughton Parish in May 2012. Vanessa has lived in Woughton Park since her husband, Richard, constructed the three properties at Saddington in the early ’80s. 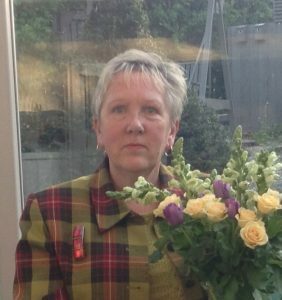 Her own career saw over 30 years of public service with MK Borough Council and then MK unitary authority - firstly in management services, then economic development and, latterly, in Children’s Services. By profession Vanessa is a chartered secretary; she is a life member of the Institute of Economic Development and she has an Honours degree and a Masters from the OU. 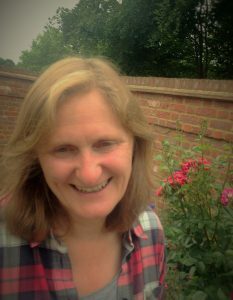 Outside Interests: Vanessa is the recent past Chair of Works for Us (a local employability charity); a founder member of Soroptimist International:MK; and a Humanist. Dog ownership and animal welfare are lifelong commitments. Liaison for MKC Consultations, Parks Trust. Family have lived in the village of Woughton-on-the-Green since the early 1950’s. Second generation Woughton Parish Councillor. Career: Outdoor Education / Pursuits Instructor in the Lake District (Calvert Trust) and Yorkshire. Bursar: North London School for 20 years. Senior Manager with responsibilities for the day to day financial management of the School together with HR, Health & Safety and premises maintenance and development. Capital project planning and implementation. Currently: Self Employed: Bespoke Business Support. President: The Patch Allotments. Chair: Woughton Heritage. MKHA (Milton Keynes Heritage Association) Executive Committee Member - Shadow Treasurer. Interests: Gardening, Allotment & Bee Husbandry. Conservation and Protection of the Rural Environment. Vice Chair, Finance & Budget, Planning, Projects Lead. Parish Responsibilities :- Allotments, Finance & Budget, Planning. Village Greens / Right of Way, Projects.